OPEN HOUSE TODAY 11 to 2. Beautiful sunroom surrounded by wooded backyard! Master suite addition is the hidden gem, just a few years old. Large eat-in kitchen and living room on main level, with 3rd family room and full bath in basement. 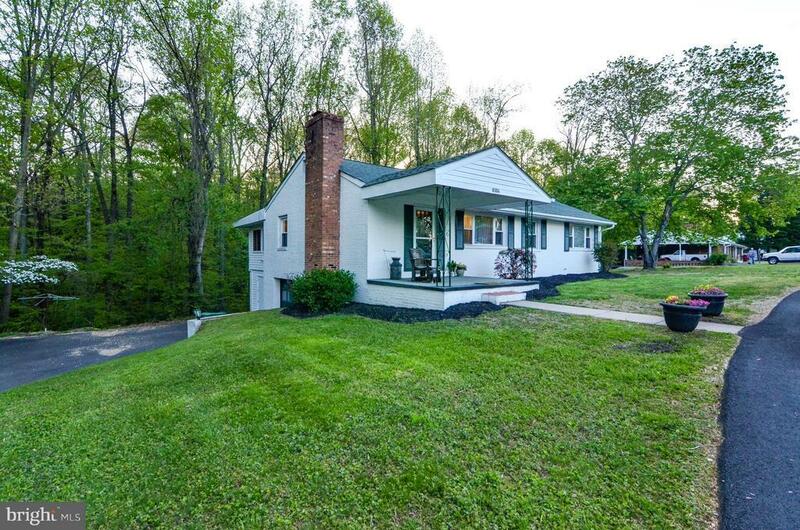 Great location in King George between Dahlgren & Fredericksburg. 2-10 Home warranty included. No HOA, optional Eden Estate Pool stock available with annual dues.